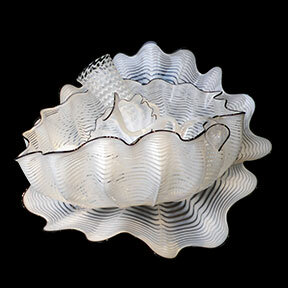 The Seaform sets conjure up associations with water and marine life without replicating them. 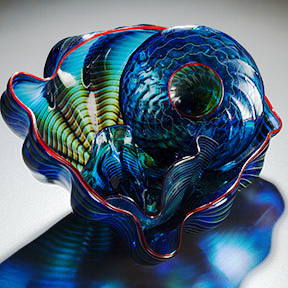 Optic molds are used in the glassblowing process to create shell-like ribs, which increase the strength of the thin glass. 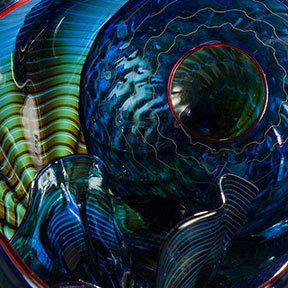 Lines of color around the body emphasize their wave-like forms. Accented with writhing tendrils and tentacles, the Seaforms resemble living organisms.